FA Cup holders Chelsea host the Owls, 16th in the Championship, in the fourth round, fewer than 72 hours after progressing to next month’s Carabao Cup final in a pulsating clash with Tottenham. Blues head coach Maurizio Sarri is demanding consistency of performance, but Zola is wary of the visitors. “I nearly broke my head working in the Championship,” said Zola, who was Birmingham boss for five months, winning just two of 24 matches before his departure in April 2017. “But I love the Championship. You find teams that no matter if they are 16th or top of the table, you will always have a game when you play them. “It won’t be easy because we have to go and play after a performance like that (against Tottenham). Gonzalo Higuain was ineligible for the Spurs clash after completing his loan move from Juventus late on Wednesday and his likely presence in the matchday squad should lift the Blues. “See you Sunday”, Higuain said as he was presented at Stamford Bridge prior to the Spurs fixture, which Chelsea won on penalties. Eden Hazard could be rested after returning to his favoured position – and his mesmerising self – against Tottenham, guiding Chelsea into the February 24 Carabao Cup final with Manchester City. Hazard had been deployed as Chelsea’s ‘false nine’ frequently of late, but there are expectations of a devastating partnership with Higuain. Sarri criticised his players following the meek Premier League surrender at Arsenal and singled out Hazard in a critique ahead of the Spurs clash. 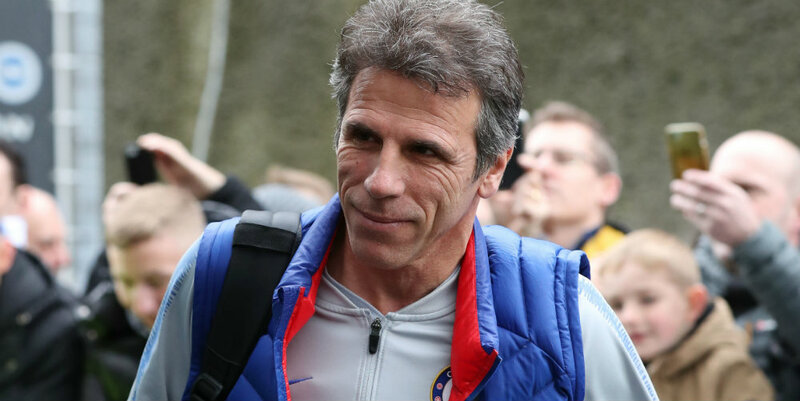 The 60-year-old Italian wants consistency from both his team and the star individual, Zola says. Zola added: “To play as well as he played (against Tottenham) all the time is impossible. We cannot expect that.